I’m proud to announce a new and improved tool to batch anonymize ultrasound clips: ClipDeidentifier. The new version has several newly added useful features. Delete any previous version of ClipDeidentifier before installing this version. Did you open the archive and run the installer? Can’t find the installer after I have downloaded it. Under which folder can I find it? Open Finder. It’s likely under Downloaded. I just realized that I’ve been doing this on a PC and it’s for OS X. There’s not a PC version available is there? Great job: Now serves as my go-to for creating anonymous teaching files. Many thanks. Ben great tool! Is there a way to have it also crop image files at the same time? I liked how your script could do this. Thanks for your comment. I just added support for JPG and BMP still image types, so grab version 1.7b and give it a whirl. Hi Ben. Tried using v1.7b. After dropping a file in, the dialogue box says that the .mp4 files are now .jpg (18.07.02 hrs __.mp4 –> 18.07.02 hrs ___crop.jpg) but no cropped file (.mp4 or .jpg) exists in the original, or any searchable folder on my drive. Also, I re-enabled a link for v 1.6b if you want to revert. Hi Ben, Wow what a useful tool! Is the crop from top alone? Sometimes we have text written onto the screen by the examiner on the right hand side (to the right of the clip). Just curious. Awesome software! Virag, Yep, that’s all it does. Crops off the top x pixels. I have some code that automatically finds the top PHI portion, but I haven’t tested it enough to make it to a production release. Thanks for using the tool and for your comment. I try to download in my Mac but I fail cause Mac can not identify the developer ?? secondly how can I got Photoshop for my Mac in iTunes so many applications which one you recommend ? Thanks very much for creating and sharing this Ben. It’s so, so useful! Thanks for all your great work Ben. 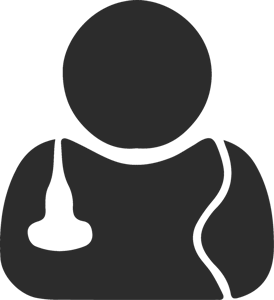 You are a great asset to the POCUS community. Thanks, Ben! What a great tool. Easy to work and gives great results. This version of your Clip Deidentifier is great! I have used the old version for years, but this one is really excellent. Thank you! Agree – love this version. Thanks for making it! Damn Ben. This is so legit. I’m just using it for the first time. This is over-the-top awesome and useful. Thanks!